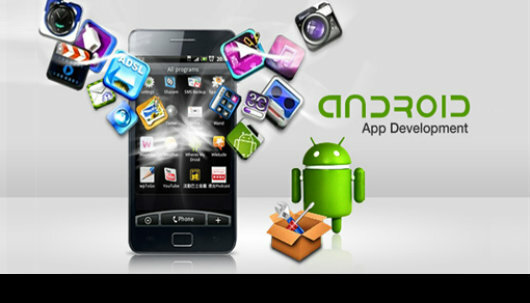 If you have what it takes to build a strong Android app then Google Play Store is just the place for you. Take your start here and develop an app that will win user love. But currently more than 2 million apps are listed in the Play Store. In this crowd and huge competitive app market, how can you create a successful Android app? Tip #1- Connect the Dots- Let Users be your Inspiration! A cool app idea and success does not come overnight. There are number basics that you need to understand before implementing your idea into practice. The Android market is huge, bigger then you think where users are getting thousands of free apps and then paid ones as well-there’s investment and ideas just like yours. When you are aiming to dot your plan down, remember the priority here will always be your users. Understand the users of Android devices and apps go through your competitor’s apps and look into theirs pros and cons, go through the feedbacks and users demands, understand what theses users want, what is the magic that can spark your idea. Always remember the idea does not have to be huge to click-a simple and small perspective can be your success; only if it’s according to users ask. The one major difference in Android market and iOS market is-the Apple users spend 4 times more on apps then Android users. This clearly defines the markets: you have a huge market with Android but with Apple you are likely to earn more. You need to clearly define your goals and understand what is that you are striving for. Understand the pros and cons of both the markets and approaches for getting success out of your app. Do you prefer monetizing your app through advertisement or through payment? What market does your idea fit into? Start joining the dots now. We do understand that things that seem easy can become difficult later on-but that should not stop your plan from proceeding. You will always have the chances to change one tool, effect, color scheme, and other properties with other available options. Android devices are present in variable shapes and sizes; remember to use layout designs that will enable stretching of the content to fit different screens. Keep trying and testing until you find the desired look. Google also offers help in this regard and provides the official design guidelines for crafting your idea. Remember to keep working with what you have and do not clone and iOS app. The two markets differ in the preferences of users and also both the software’s differ in their perspectives and displays. One of the major draw backs for the apps developed these days is that they are cloning iOS apps. Making an Android app push its limits to meet the iOS usability standards and design is actually killing the user experience. The users need only one difficult button on your app and they will walk out. Your app should be intuitive but simple and of course never forget how your app will work in offline mode. Once you bring out the first prototype, test the app with a friend or a relative and see what that person has to say or watch how they interact with the app? Take notes of the points where the person was getting stuck and which part of the text was not understandable. Is your app intuitive? You should never take this tip any less important than the others- keep on testing the app until you are assured for the app to be bug free. Do not release the app without testing it. It is understandable that your app has already gone through a number of tests which includes the developers as well, but even then it should be tested thoroughly before releasing it. Conclusion: Success can come to you at any point-you might be successful with your first attempt of making an app. But whether our app becomes great hit or not, remember to continue your effort of putting forward the right thing. Give a high priority to your users, if they are happy and like what you have produced then you have achieved your goal. Try giving your users the background process of what they did and how it is working for them. It is important because it will increase user experience, it will provide them consequences of their actions, and it will connect you with them strongly. Let your app happen!